Bluestone outcropping and irregular natural cleft bluestone, full range color. Photo courtesy of Lurvey Landscape Supply. 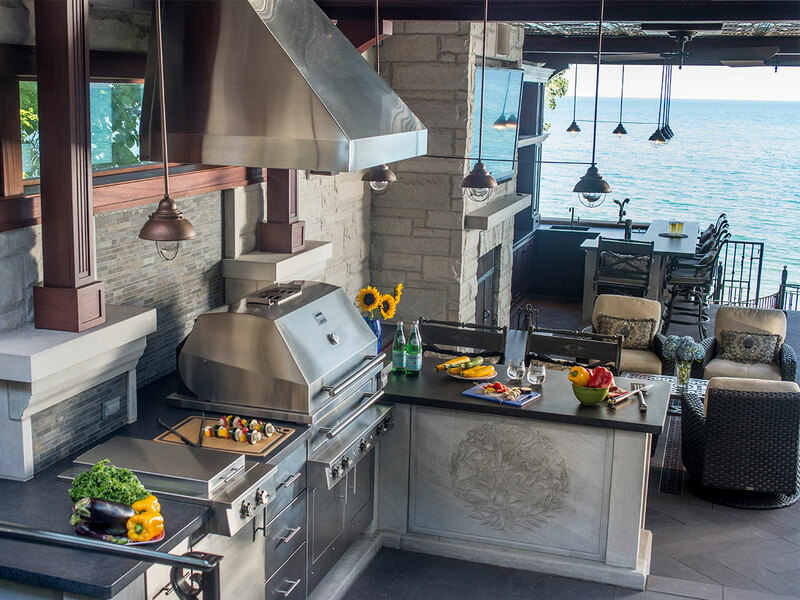 It would seem like a misnomer to think technological advancements have helped improve a product like natural stone valued for its organic look and properties. 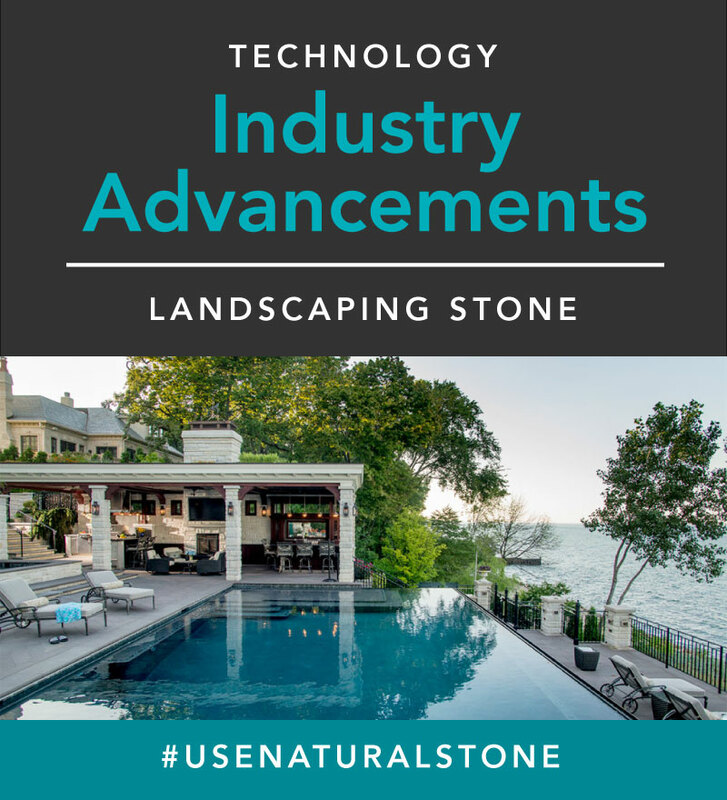 Yet those advances are among the reasons natural stone is becoming more popular among homeowners looking to add a timeless classic into their landscape projects. 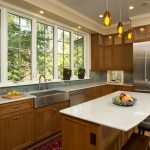 Many homeowners love the look of natural stone but want more options. Thanks to recent technological advances in stone fabricating equipment, once very labor intensive surface treatments being applied to natural stone are now done through computer automated equipment. This automation provides us increased flexibility in aesthetics and shorter production time due to faster processing. “You could have sandblasted, bush-hammered, natural-cleft, thermalled, honed, polished, the list just can go on and on,” says Daniel Wood, LEED GA, of Lurvey Landscape Supply. 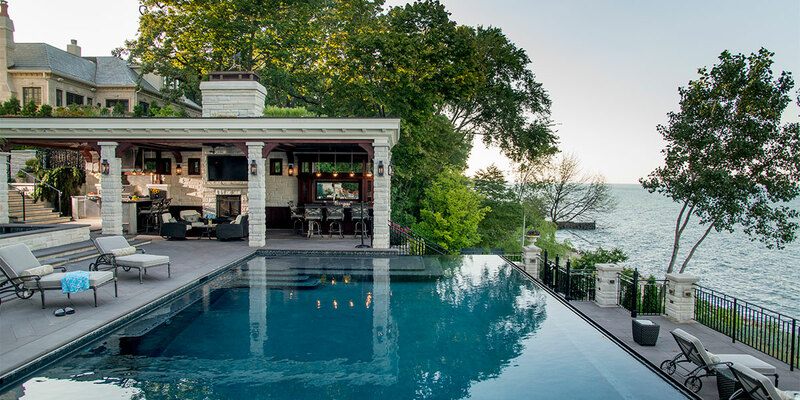 The company, with locations in Illinois and Wisconsin, sources natural stone from more than 50 quarries around the world and is one of the largest natural stone suppliers in the country. “We move a huge amount of natural stone,” Wood admits. 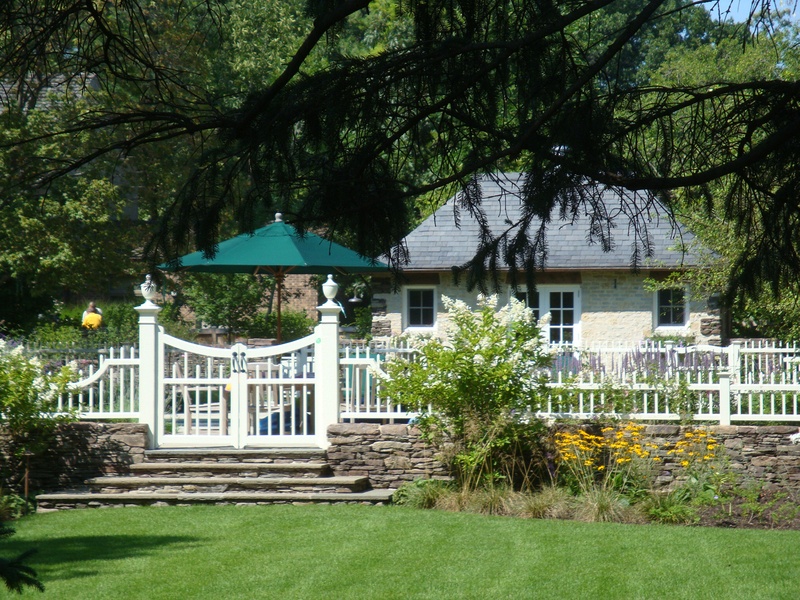 Pennsylvania Fieldstone. Photo courtesy of Lurvey Landscape Supply. It used to be that if homeowners wanted the look of natural stone but couldn’t afford it, or sought options that just weren’t available in the marketplace yet, they’d opt for faux natural stone in the form of concrete. However, the cost of concrete is rising. This, coupled technical advances for natural stone and the fact that the production of cement (which forms the binding agent of concrete when mixed with water) contributes approximately five percent of the planet’s greenhouse gas emissions have made the real thing more attractive than concrete alternatives. On the surface level, choosing natural stone might seem straight forward. 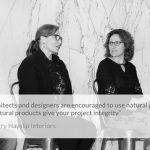 Wood says it’s anything but and comments on how amazed people are to learn how vast the selection of natural stone can be when considering incorporating it on a project. 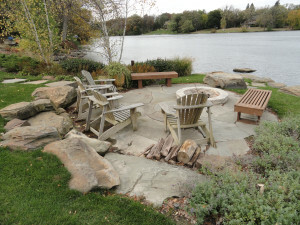 He admits that even he, a veteran in the landscape design industry, is surprised at how much there is to learn about opportunities that incorporate natural stone with plants, drainage, irrigation, lighting, fabrics, and fertilizers, among other variables. “It’s just constantly evolving and growing, and changing as new technologies are coming in,” he adds. Valders dovewhite rock faced veneer, Thermal Lilac bluestone paving, coping, and treads. Photo courtesy of Lurvey Landscape Supply. 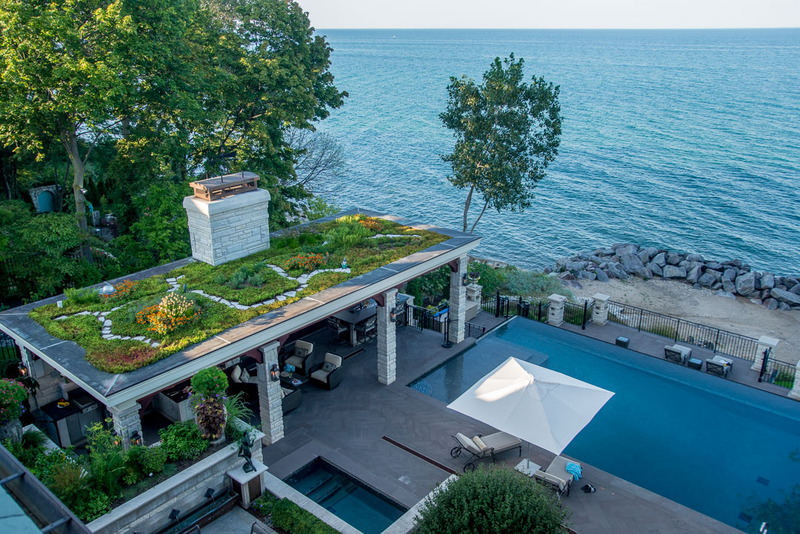 There is even variation within a certain type of stone to consider, notes Kris Barker, a registered landscape architect, LEED-certified designer and co-founder of Chicago-based Barker Evans Landscape Architecture, who works with clients all over the country. 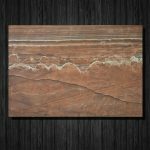 Within bluestone alone you can have a blue bluestone, or a mixed color of bluestone which has some russet coloration in it and is more variegated, not to mention the range of finish options, she says. By definition, natural stone is eco-friendly but looking beyond the fact that it’s a natural product, natural stone can also make a space more eco-friendly. When undertaking a project, Barker takes note of how integrating stone into projects can be part of a solution rather than just aesthetically pleasing. 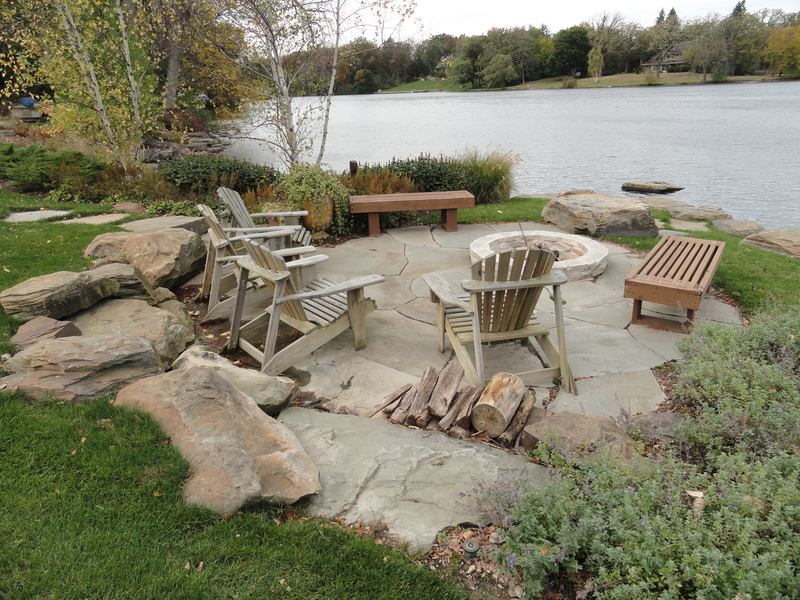 In areas like California, for example, the drought is affecting hardscapes designs. In some cases, rather than creating tight joints, they’re integrating gravel with stone so there are opportunities for the water to infiltrate in the location rather than allow the water to inundate an area because they’ve put so much impervious surface down. Or they’ll integrate vegetation within the hardscape or look for opportunities to capture water within the hardscape. A side benefit of these types of solutions is that the final product often comes across looking softer and more appealing, Barker says. On the opposite side of the country, you have other types of climate issues, including heat and rain, with which to contend. Local natural stone is a good option in Florida since decks, in general, are expensive to build and often need to be on pylons. Everyone can afford to have some stone on their projects, says Wood, whether one is planning to blend it into the landscape, as steps, or for something more elaborate like a sculptural piece. Depending on the project, most stone can also be cut to a specific size off-site. The benefits of having the stone cut off-site are significant, according to Wood. You get a precise cut. 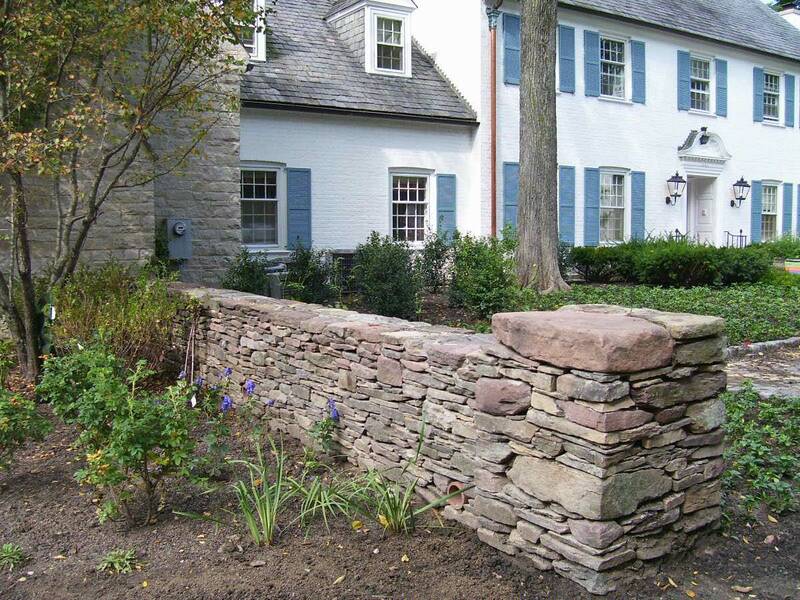 If you order a 12” x 12” stone for a project, it’s really going to be an 11 ½” x 11 ½” stone, leaving a half inch border for a joint or other type of jointing material. More environmentally friendly. Less dust and debris on the jobsite. Less Labor = Lower Cost. Since the cutting can be done in advance, it’s more cost-effective than cutting on-site because installers can focus their time on installation, not cutting to size. Having the stone pre-cut to a specific size makes it easier to line up stone on-site, making it less labor intensive and, therefore, less costly to install.